How does Chiropractic work? It’s pretty simple really. Your brain sends a message down the spinal cord and out through the network of nerves to control and coordinate everything in your body such as muscles, glands, organs, hormones and systems of the body. If a vertebra is “out of alignment” or not functioning properly, it can irritate or put pressure on the nerve and affect how that part of the body works. At Whole Body Health, we want to make sure that everything is working well so that your body can self-heal and self-regulate like it’s intended to. What Are Some Benefits of Chiropractic Care? The most significant benefit of chiropractic is the promotion of optimal health and wellness. Chiropractic can also help to manage an array of conditions including back pain, headaches, neck pain, sciatica, shoulder pain and much more. But regardless of symptoms, your body works better when your nervous system works better. And that’s the role of chiropractic care! We offer an array of both traditional manual adjusting techniques as well as low-force adjusting techniques. Some patients prefer hands-on while others opt for a low-force adjustment with a lighter touch. 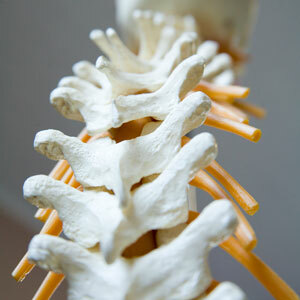 Your chiropractor will honour your preference and also provide her clinical recommendations. The purpose of your first visit is to investigate what’s going on and whether chiropractic can help or not. Your follow-up appointment is the report of findings visit. Your chiropractor will review your results, and explain exactly what’s going on. If she feels that chiropractic can help, you’ll be informed as to what the best approach is to help you, how long it will take and how much it will cost. If you agree to care, your chiropractor will explain to you what she will do before beginning the adjustment. You’ll be informed throughout your care. Most people are surprised by how comfortable an adjustment is in our office. Though we see patients of all ages and conditions, we are passionate about caring for children and pregnant women. We see pregnant women right from conception onward to ensure they have an optimal, healthy pregnancy and smoother labour and delivery. All of our chiropractors are trained in the Webster Technique for in-utero constraint and pelvic misalignment. We also adjust a mom after the birth and check her baby to ensure their spine is free from subluxations. Discover the difference that natural and effective chiropractic care can make in your life and the lives of your family. Contact our Brantford practice today to book an appointment!